Every wine festival need a Queen! Autumn is approaching and so is the vintage season in the southern hemisphere. In March and April there are many wine festivals in the central valleys, where visitors can try a variety of grapes and local cuisine. Of course, traditional games, handicraft shows and the coronation of a local “wine queen” cannot be missed. 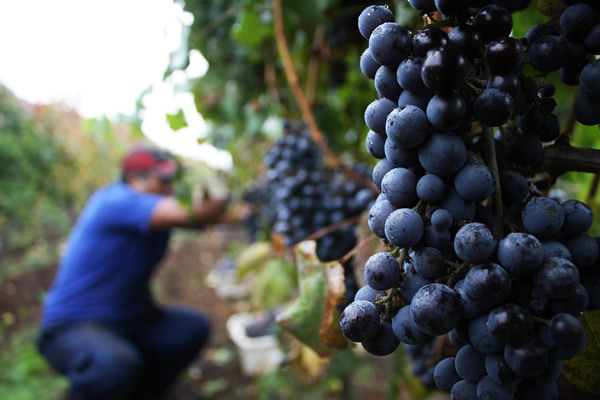 Many wineries offer special tours during this time, such as “harvest tours,” where guests can closely witness the making of a vintage. Colchagua Valley: March 6th-8th in Santa Cruz. Try rather exotic grapes such as Mourvèdre, Carignan, Garnacha and Petit Verdot. Curicó Valley: March 19th-22th in Curicó. Chile’s most popular wine festival. Jordania is this year’s guest of honor, and adds some exotic flair to the festival. Casablanca Valley: April 11th-12th. This wine festival is held for the third time. Specialties here are Sauvignon Blanc und Pinot Noir. If you would like to add a harvest tour experience to your clients’ itinerary or need more information about our wine tours, please ask your travelArt sales partner.